This is an online journal of my artistic investigations and a way to communicate about my work, ideas, quandries and queries! I welcome comments and conversation and do hope you enjoy these musings. My artwork is available in my shop MissouriBendStudio on Etsy.com or on my website. I've started a new series of drawings inspired by a delightful book I recently checked out from our local public library, Explorer's Sketchbooks: The Art of Discovery & Adventure. A delicious feast filled with wonderful images, narratives and biographical information, this book makes you want to get off your duff (is that still a word or is it too old fashioned?) to explore the world....from far flung locations across the globe to your own backyard! There are sketchbooks and writings from familiar names such as James Cook and John James Audubon, but countless folks I'd not heard of....such as Ranulph Fiennes, Vivian Fuchs Henry Walter Bates. Curious and often fearless, these men and women explored the unknown and left us the record of their treks. 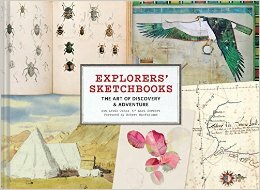 While this book presents the sketchbooks of explorations into all corners of the globe, it occurred to me that it might also be an inspiration to explore the frontiers of the imagination and inner worlds that lurk deep inside each one of us. Everything is ripe for discovery and the best news is that even if it has been discovered and/or claimed by someone else, it hasn't been discovered by you and seen with your eyes. Part of what I'm drawn to in the pages of this book and the pages of other such journals of uncharted territories (I'm thinking of Lewis and Clark and Maximilian de Wied and their journeys up the Missouri River, for instance) is the actual beauty of the layout of the words on the page...often just lines of handwritten text interspersed with drawings. Attempts at capturing something novel, the unknown, a revelation...all while the perceptions and the visions are fresh. 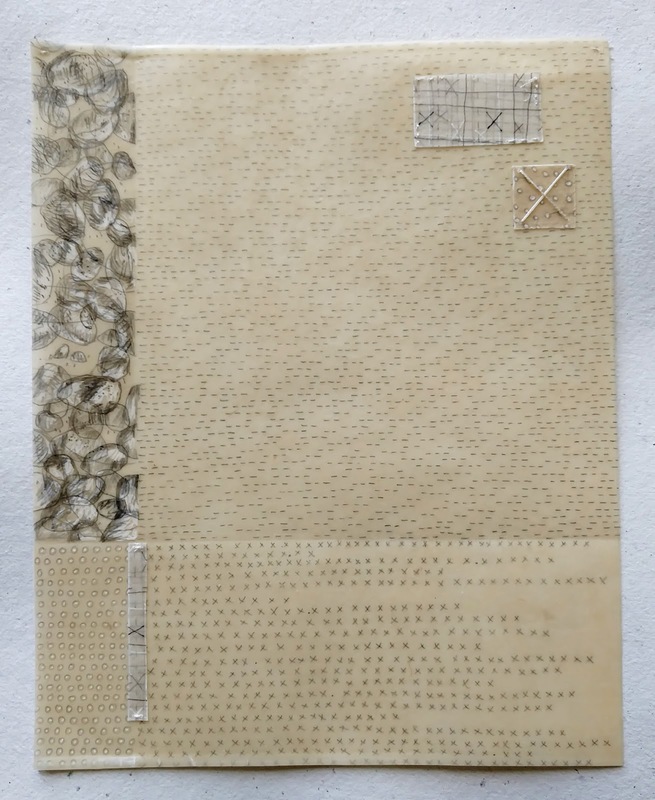 Writing and drawing serve as ways of processing. Someone from another far distant future may no longer be able to read and decipher these words, but they will appear in the abstract as marks on the page, interspersed with images. I'm not so sure why I find that fascinating, but I do....and worth exploring. I'm not a sketchbook keeper myself, but am inspired enough that maybe this is the impetus I need as I explore my own locale. Though I have a series of grumbles about where I live (and who doesn't!? 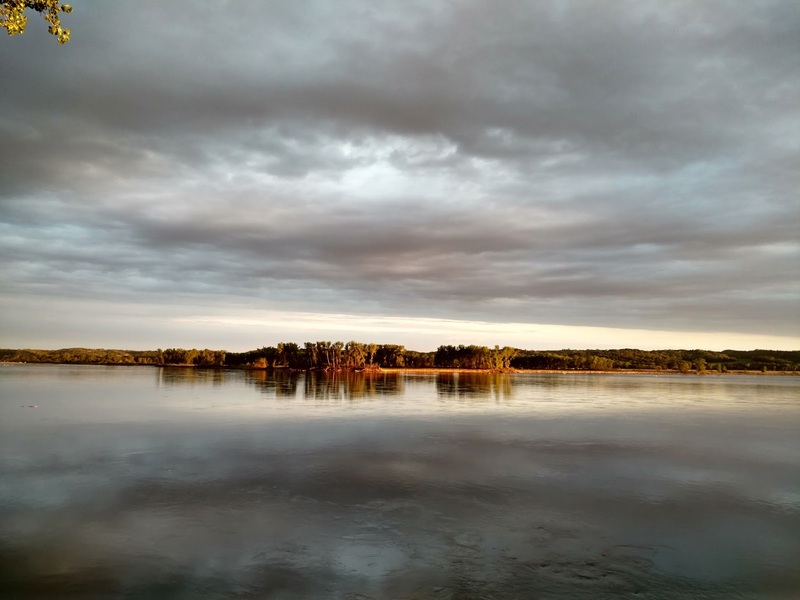 ), I cannot deny the beauty and history that flows across my path each day as the waters of the Missouri River make their way down south to join the Mississippi on the journey to the Gulf of Mexico. But, back to that delicious book, now laid open on my lap as I type. I want to share just a snippet from an introductory bit by Wade Davis looking back on his early explorations and what it means to be curious and delight in the many worlds we inhabit. We are the lens....each one of us sees and experiences the world in a unique way....there are countless ways to explore those worlds. Cheers! I'm happy to hear from you...comments and questions are welcome! I am an artist living and working in southeastern South Dakota on the banks of the Missouri River. My work combines painting, drawing, embroidery and collage on handmade paper. email: missouribendpaperworks@gmail.com Check out my other blog, an online journal at http://www.missouribendstudio.blogspot.com. Please visit my shop at: http://www.etsy.com/shop/ missouribendstudio. Thanks for looking!